The security has been beefed up and curfew like restrictions have been imposed in the Valley as Prime Minister Narendra Modi visits Jammu and Kashmir. This would be Modi's first visit to the state after the BJP -People's Democratic Party alliance came into power in J&K. Internet services too have been suspended from 10 am to 2 pm to ensure the peaceful culmination of Modi's rally in the Sher-e-Kashmir Stadium. The added security follows the call for a 'Million March' by Separatist leader Sayed Ali Shah Geelani to counter PM Modi's rally. Around 300 Separatist leaders and synthesizers have been rounded up including independent and controversial MLA Engineer Rashid. 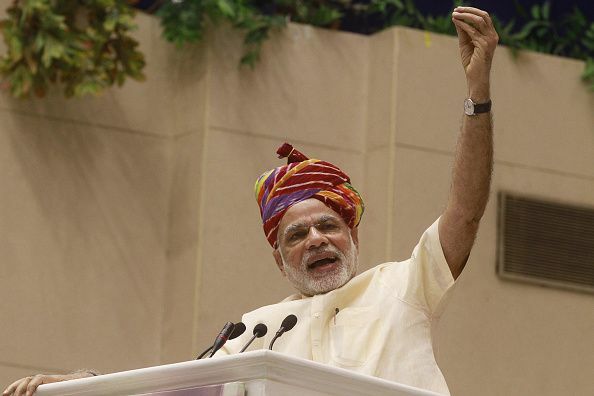 Modi will also announce a special package worth over Rs 75,000 crore for Jammu and Kashmir in the rally. A government source said that the package will be divided into five parts: humanitarian relief, disaster management, social infrastructure, physical infrastructure and development spending. According to a press statement released by the Prime Minister's Office, Modi will also inaugurate the 450 mw Baglihar hydro-electric project (state II) and lay the foundation stone for the four-laning of the Udhampur-Ramban and Ramban-Banihal section of National Highway 44.